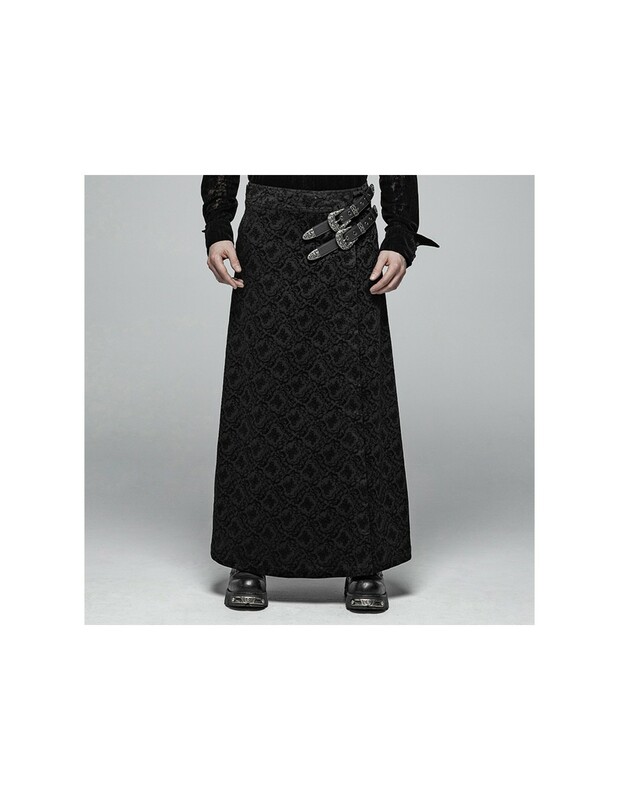 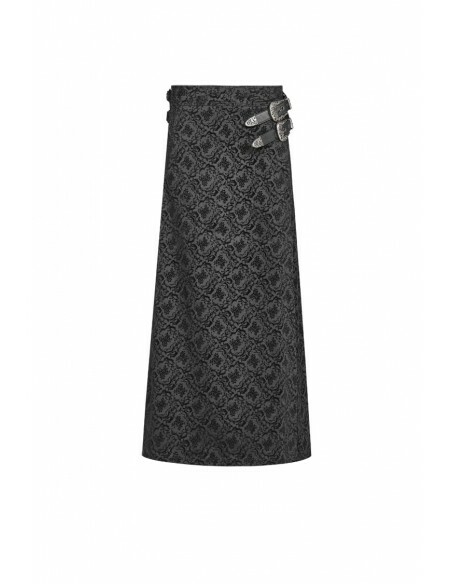 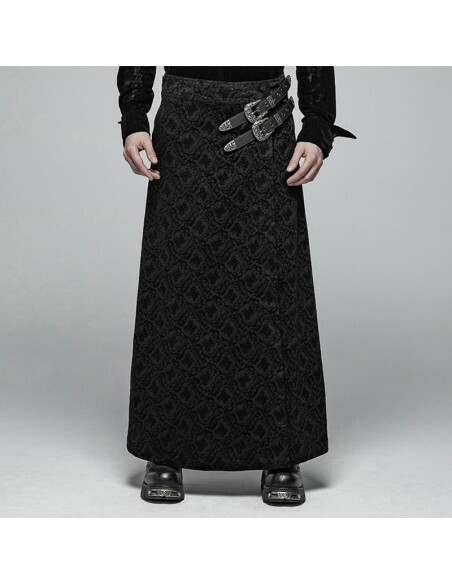 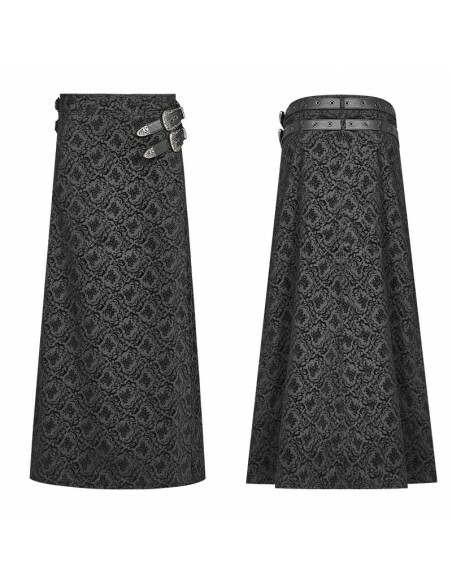 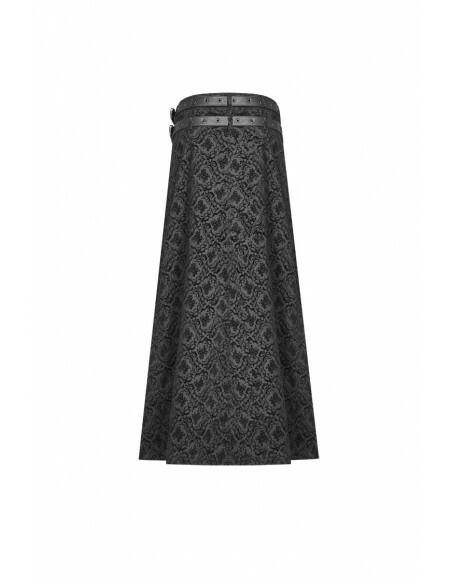 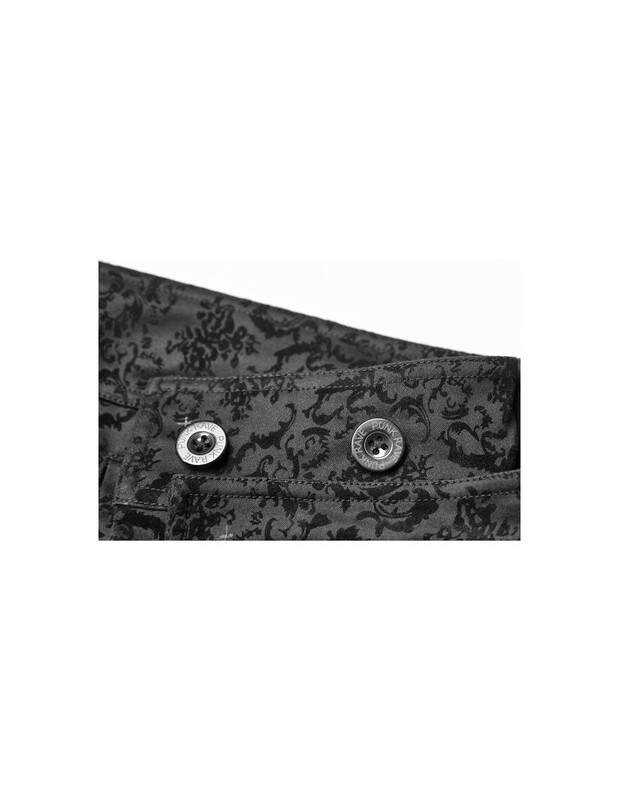 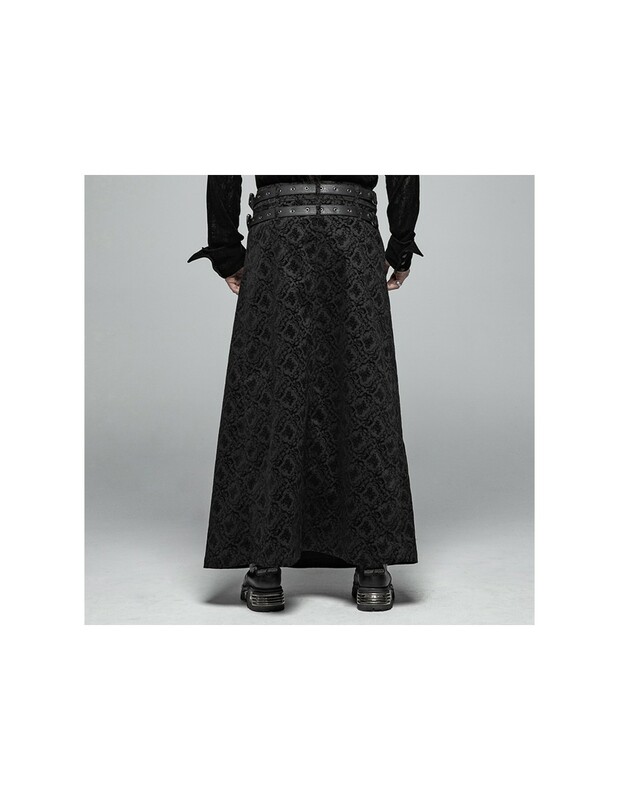 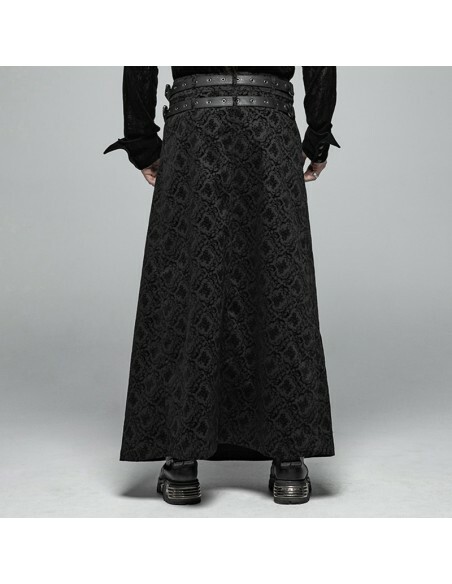 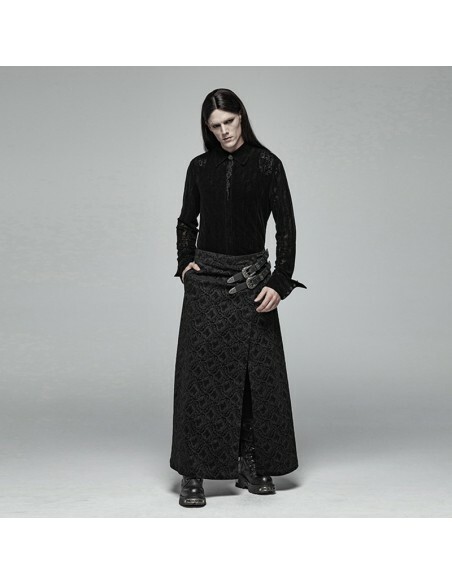 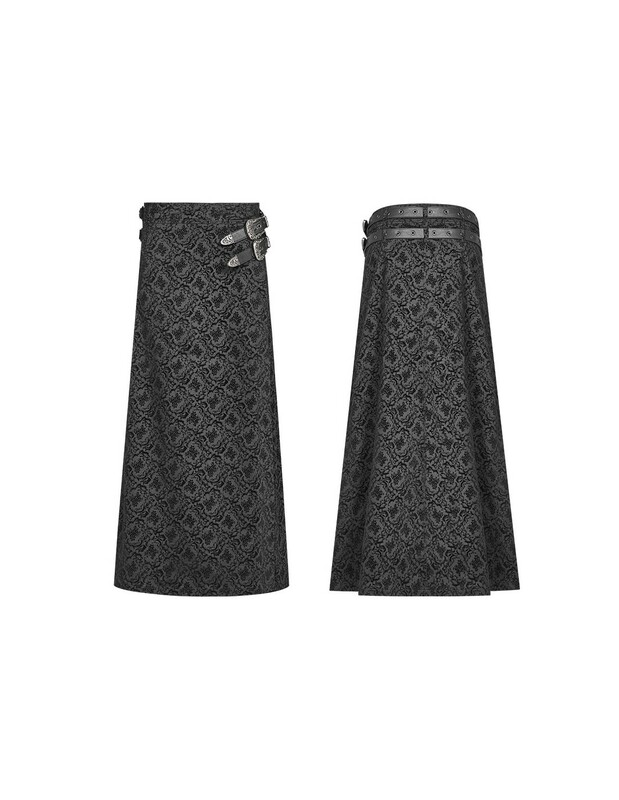 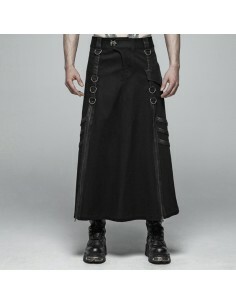 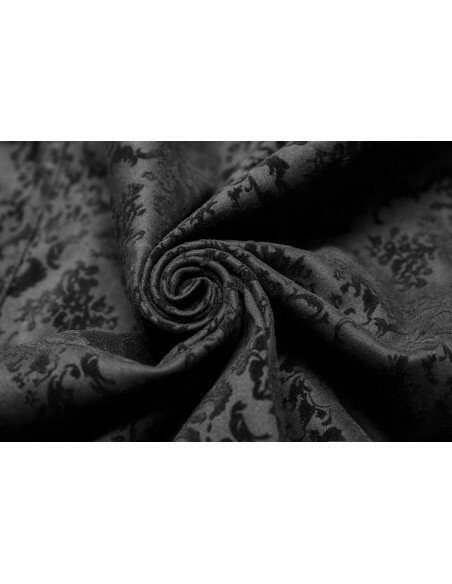 Black long skirt with gothic pattern & PU leather belts on the side with vintage metal buckles. 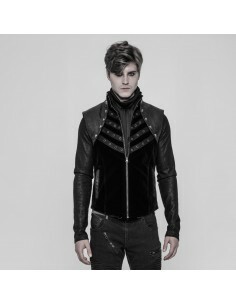 Black vest with high collar &amp; zipper, made of PU leather &amp; velvet combination with symmetric stripes design of the front, metal eyelets &amp; skulls decorations. 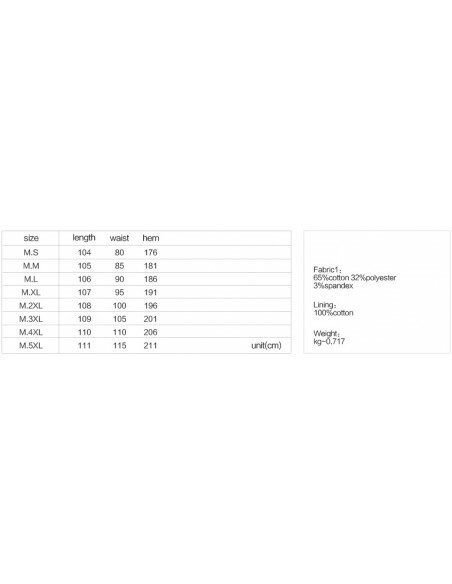 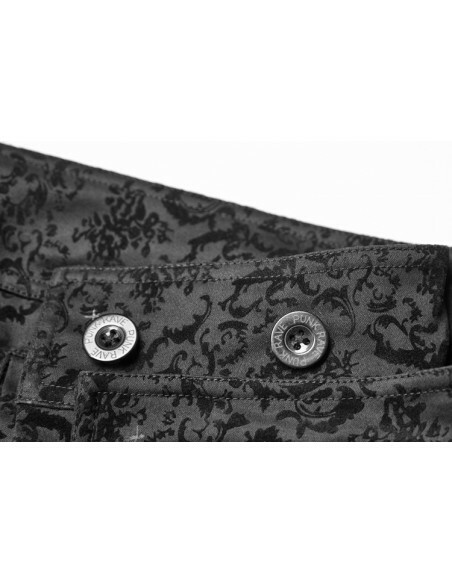 Black sleeveless top on zipper with front harness design, faux leather shoulder parts &amp; metal elements. 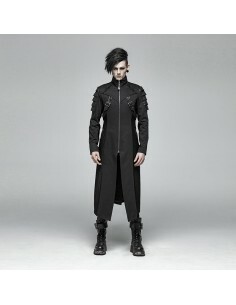 Black long coat with zipper, high collar, sides designed with belts, sleeves' sides with PU leather armor-like design. 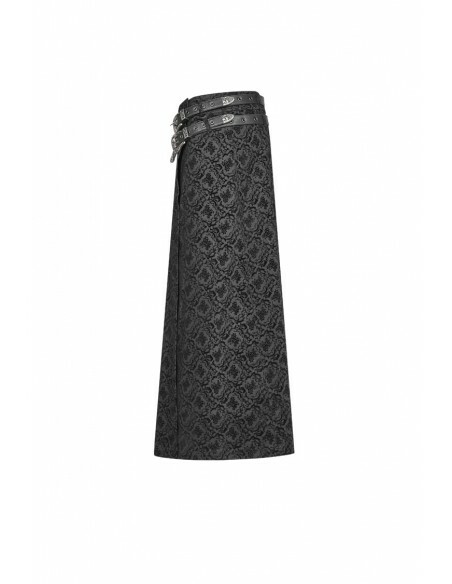 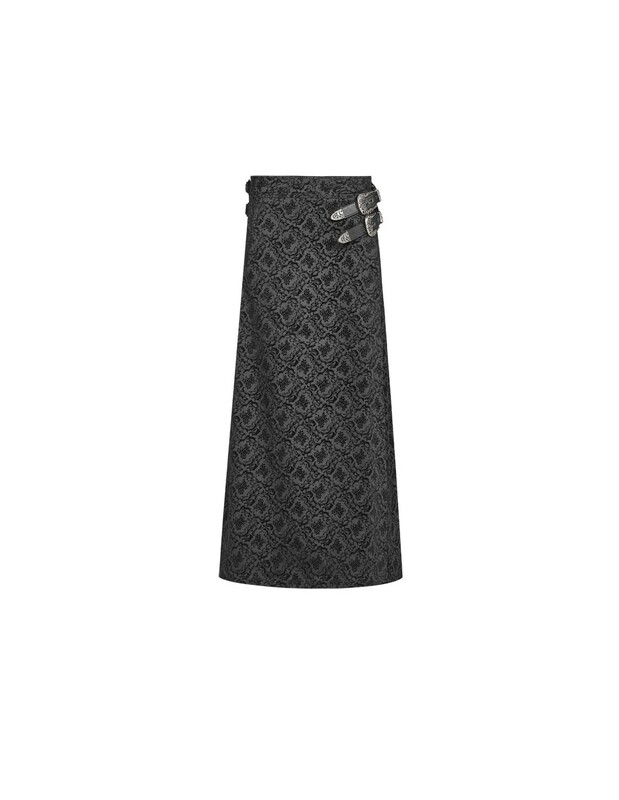 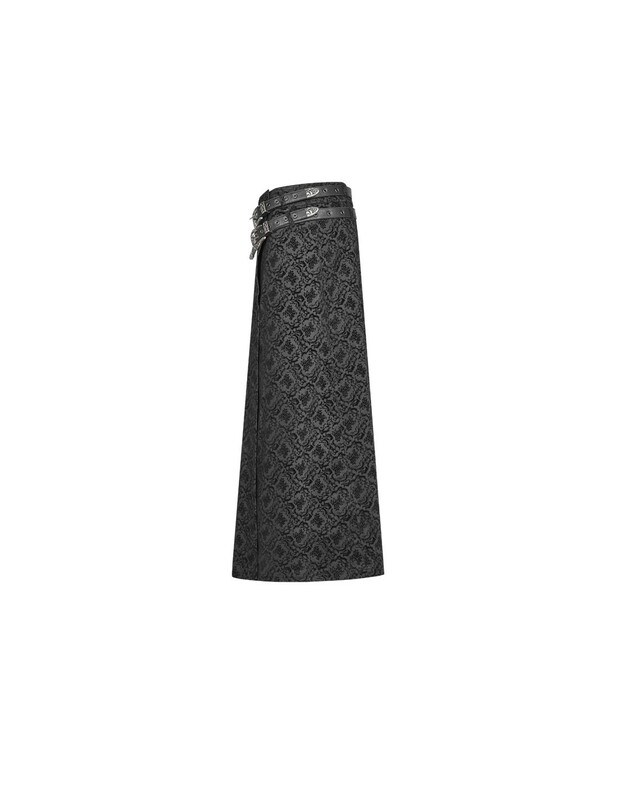 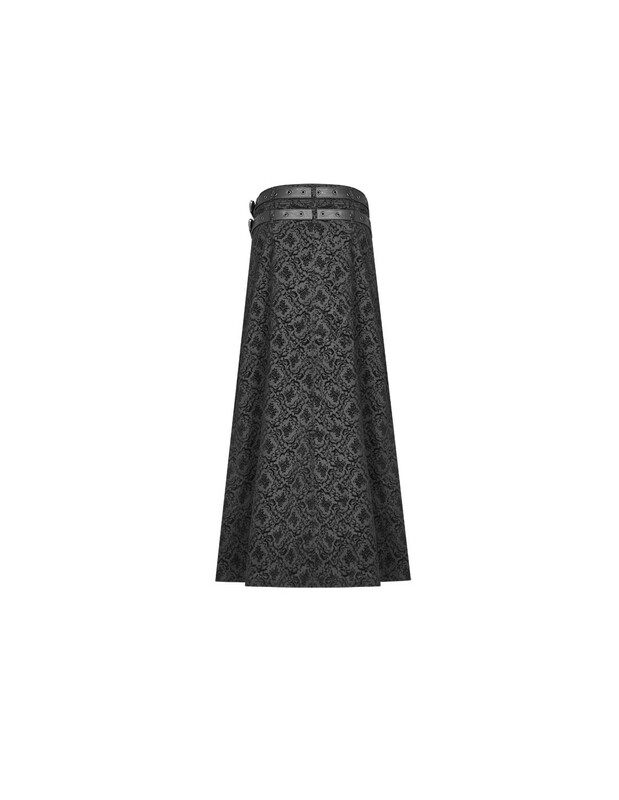 Black long skirt with PU leather parts, belts, metal D-rings &amp; buckles. 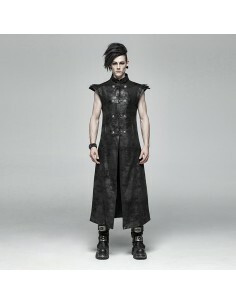 Black vest on zipper with high collar, metal rivets &amp; faux leather decoration. 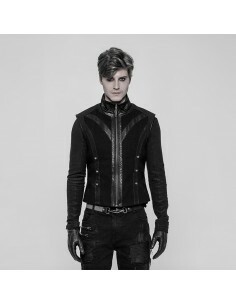 Black long vest with high collar and armor-like shoulders design. 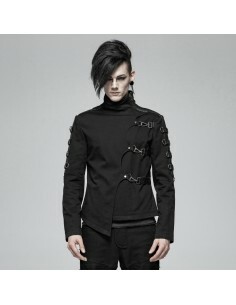 Black asymmetric jacket with high collar, metal buckles and belts on the sleeves. 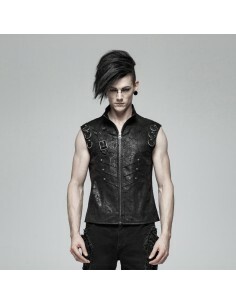 Black crack-textured vest with zipper, metal rivets &amp; rings decoration.